Being that it’s the closing of the year, a number of lists (by the numbers and by the boatload) will be unleashed upon you making hard lined, definitive statements on the music that 2014 had to offer. These statements will come with glorious verbal flourishes as to why they were the best thing EVER. Have fun with that. Call it the year’s exercise in ‘space jazz’ but Moving On can probably best be described as where Portishead and Nina Simone collide and coexist. Kan Wakan dished up an offering of orchestral, romantic noir brainstormed/produced by Gueorgui I. Linev and Peter Potyondy with Kristianne Bautista’s chocolatey vocals narrating the course: equal parts cinema (as you can imagine practically every song complementing a film score), equal parts classical torch songs. It’s heady and beautiful stuff that lingers in the room like sandlewood incense. We suspect that, by now, everyone has reconciled the fact that sisters Johanna and Klara Söderberg are not and have never been from Tennessee, Oklahoma or Arkansas. We’ll call that progress. 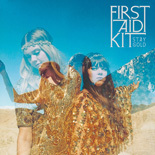 Progress is also in abundance on the Swedish sisters’ major label debut and rich trek through Americana with Stay Gold. From the ace working of their voices in harmony (and Swedish twang) to the larger scale of sound to digging lyrically darker and deeper, tracks like “Master Pretender” and “Heaven Knows” get you somewhere between a two-step and sawdust shuffle. One of the prettiest records you’ll have heard all year. 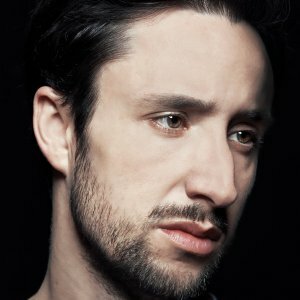 It was damned unexpected how hard Tom Krell aka How To Dress Well would hit (and hit me) with his third studio album, but hit hard he did. But the blows come in the form of grief, struggles and uncomfortable confessionals; lamentations of a thinker perhaps too gentle for such a harsh world and what you have is the palette of how his world feels. “What Is This Heart?” is that R&B/pop/electronic fusion: pop music for adults, Krell calls it. Sensual and grooved, heavy with healthy nods to musical heroes like R. Kelly and Prince and fiercely recorded/engineered down to the samples, keys, echoes, vamps and fragility of Krell’s voice. Don’t worry: you will shake a groove thing or two. Emotional expansion only to collapse in upon itself and expand again, Krell pretty much bleeds for you. Gorgeously. 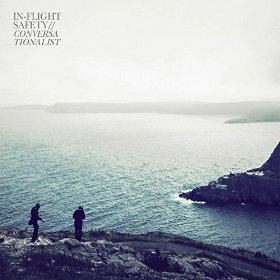 At 35 minutes long, Halifax, Nova Scotia’s In-Flight Safety makes quick and elegant work of constructing a thoroughly Canadian sounding record and that is a compliment. It’s indie rock that stands on a foundation of bright, tight sound and crisp guitar melodies to flesh out the warm conversations at hand. Songwriter and vocalist, John Mullane, doesn’t take a lot of lyrical liberties, he merely speaks his mind and leaves the door wide open for you to walk through. If you ever found yourself missing the good stuff like Doves or the Stills, here you go. You’re welcome. There’s not much that needs to be said about this album other than: yes. 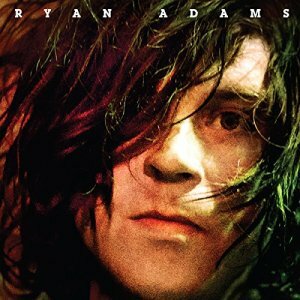 Ryan Adams’ 14th album possesses a tasteful restraint yet still feels solidly rock n roll given his guitar tones, bracing reverb and the right words at the right time. From the punch of “Gimme Something Good” to the smooth wash of “Tired Of Giving Up” to the so good it hurts “Wrecking Ball.” Bless his shaggy-haired heart. If you’re surprised at what you’ve found on this list, good. Because that means this list is a success. And if you feel like adding any of these albums to your music collection, just click the album cover to purchase them on Amazon. Now here’s to a musically amazing 2015.